The health and well-being of urban residents is intrinsically linked to green spaces and their biodiversity. Yet little is known about the mechanisms through which green space design delivers biodiversity and human well-being benefits. This project aims to discover those mechanisms, contributing to theoretical knowledge about socio-ecological interactions, and to practical knowledge about effective urban design. Develop best practice urban design guidelines that reflect these mechanisms and supports biodiversity and human well-being. To elucidate the causal pathways linking green space design with biodiversity and human well-being outcomes, we will implement a series of controlled, manipulative field experiments. We will systematically alter the levels of green space design explanatory variables in a series of modular experimental plots, which we will establish in both a large green space (biodiversity experiment) and within a densely urbanised inner-city context (human well-being experiments). These plots will be designed in close collaboration with our industry partners. We will then quantify in situ the biodiversity and human well-being outcomes associated with the controlled alternative designs. By testing our hypotheses in controlled experimental settings, this project will explore the causal pathways linking green space design to biodiversity and human well-being. The involvement of a major city council (The City of Melbourne), an international consulting agency (Arup), a landscape design firm (Phillip Johnson Landscapes) and an environmental NGO (Greening Australia) as Partner Organisations on the project provides a unique opportunity to ensure the results of our proposed research will have an impact on urban greening practice. We are seeking either two candidates to work collaboratively on the biodiversity and human well-being experiments OR a highly-motivated interdisciplinary candidate keen on working across the project’s ecological and social dimensions. The candidate will ideally have an Honours or Masters degree in biology, ecology, environmental science or related discipline. She/he will have keen interests in conducting fieldwork within an urban environment, predominantly working with plants and insects. Good statistical modelling skills are preferred. The candidate will ideally have an Honours or Masters degree in sociology, psychology or related discipline. She/he will have a keen interest in conducting fieldwork in a densely-urbanised inner-city context. Experience with eye-tracking technology is preferred but not required as training will be provided. 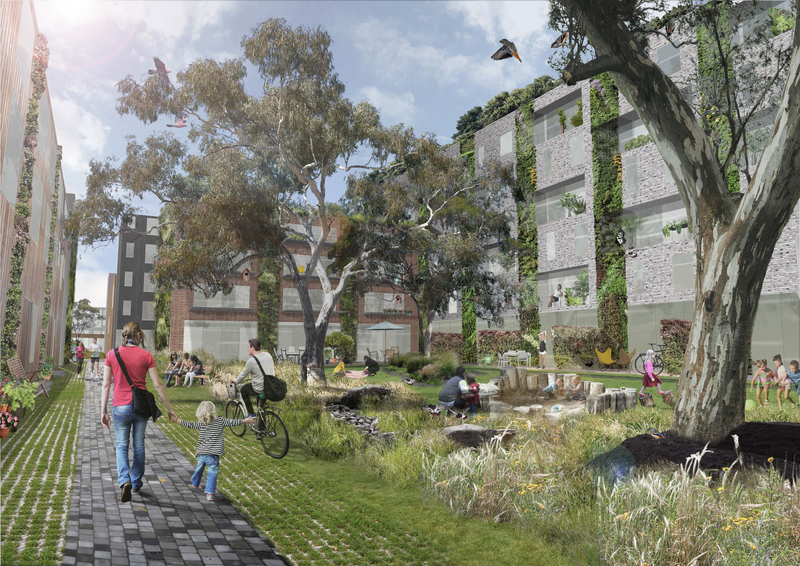 The project is funded by the Australian Research Council – Linkage Project ‘Designing green spaces for biodiversity and human well-being’ (LP1601003). The Chief Investigators are: A/Prof Sarah Bekessy (RMIT University), A/Prof Richard Fuller (University of Queensland), A/Prof Dieter Hochuli (University of Sydney), Dr Fiona Fidler (University of Melbourne), Dr Cecily Maller (RMIT University), Dr Ascelin Gordon (RMIT University), Dr Georgia Garrard (RMIT University), Dr Christopher Ives (Leuphana University), Dr Luis Mata (RMIT University) and A/Prof Adrian Dyer (RMIT University). It will involve collaborating closely with the project’s Partner Organisations: The City of Melbourne, Arup, Phillip Johnson Landscapes and Greening Australia. The candidate(s) will need to secure their own PhD stipend or scholarship and the project will provide a yearly top-up of $7,000 for three years. The candidate(s) will be based at the Interdisciplinary Conservation Science Research Group at RMIT University, and be supervised by 2-3 of the projects investigators. If you are interested, please get in touch with Luis Mata (luis.mata@rmit.edu.au) and Sarah Bekessy (sarah.bekessy@rmit.edu.au). Prospective Australian and New Zealander candidates are encourage to get in touch as soon as possible as the RMIT University deadline for the next round of Higher Degree by Research Scholarships is coming soon (31st of October 2016). Enquires from prospective international candidates are very welcome!